It has only been three months since it first debuted, but FortuneJack has already become a popular brand among online gamblers. Fame, however, is not the endpoint for this Bitcoin casino as it guns to revolutionize the Bitcoin gambling niche in its own innovative ways. Born out of its operators’ 20 long years of traditional and online gambling experience in Eastern Europe, FortuneJack easily took the spotlight when it launched with full support of eight major cryptocurrencies. Aside from Bitcoin, bettors can also use major altcoins like Litecoin, Reddcoin, and Dogecoin—a feature not even the established brands ahead of it currently offer. This Bitcoin casino further transformed online gambling by providing an instant coin exchange service that registers the lowest fees in the exchange industry. Security is another aspect taken seriously as it is covered by tried and tested security procedures assessed by the leading security firms operating in its region. However, FortuneJack’s success should be credited to its combination of the classic and new games hosted on its platform. 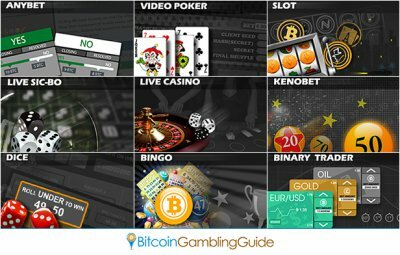 Unlike most of the Bitcoin gambling sites, this casino aims to present unique and groundbreaking games to the market. At present, players have access to a list of provably fair games, including Live Double Action Roulette, Blackjack with Multiplayer room, Bingo, Keno, Video Poker with Joker, Slots, Fortune Wheel, and Classic Dice. Joining these Bitcoin casino games is a 60 second to 1 day Binary trading platform powered by Barchart, Inc. as well as Anybet, an innovative prediction game. This roster of games will be further expanded in the next months as there are plans to launch 30 more games that embody FortuneJack’s revolutionary mindset, according to Saralidze. Meanwhile, players also perceive the variety of casino promotion packages as another reason to patronize this website. After all, besides the 100% Deposit Bonus of up to 1 BTC, they may also receive a Reload Bonus on top of the Loyalty Program, the Weekly Bonuses, and other exclusive offers. Moreover, FortuneJack provides an affiliate program that pays out 40% of the casino’s profit and a VIP club that is filled with incentives from the Bronze level up to the Platinum level. Bitcoin casino enthusiasts can expect from this website as more upgrades on FortuneJack roll out in the next months.